The Johnstown Inclined Plane Funicular travels 896.5-ft top to bottom. 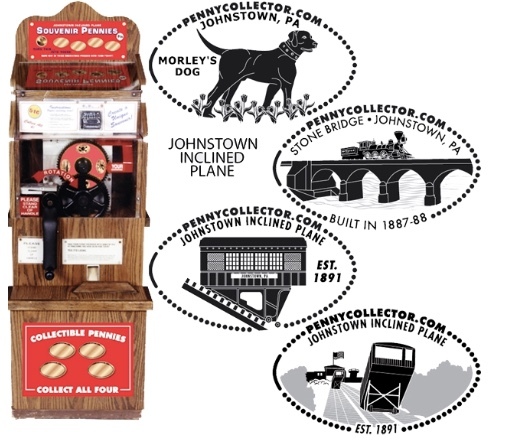 Its two stations connect the city of Johnstown, situated in a valley at the junction of the Stonycreek and the Little Conemaugh Rivers, to Westmont on Yoder Hill. The Johnstown Inclined Plane is advertised as the "world s steepest vehicular inclined plane". It is capable of carrying automobiles, in addition to passengers, up or down a slope with a grade of 70.9 percent. The travel time from one station to the other is 90 seconds.